Article: Jake Miller Looks Awesome As He Attends “The Outfield” Movie Premiere And Supports Cameron Dallas And Nash Grier! A stupendous singer, a worldwide phenomenon, and one incredible friend – Jake Miller is one outstanding, young man! Singing sensation Jake Miller looked awesome as he attended “The Outfield” movie premiere yesterday, November 9, 2015 at the AMC CityWalk Stadium 19 at Universal City, California. Jake Miller had a terrific time showing his support for his friends, Cameron Dallas and Nash Grier at the event. 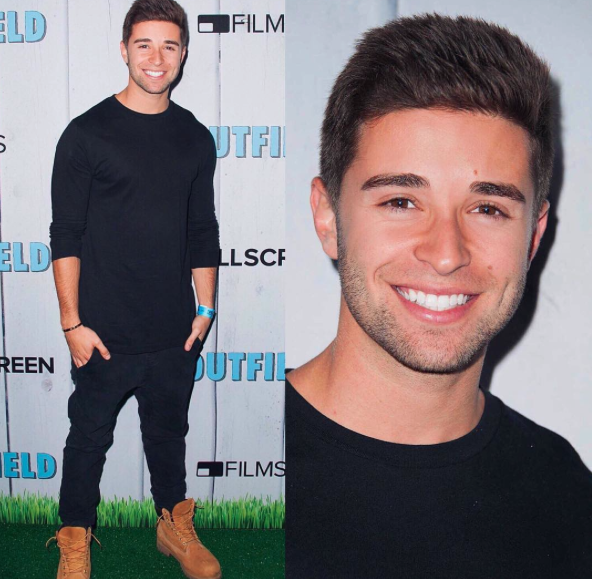 Check out more photos below of the extraordinary Jake Miller looking fantastic at “The Outfield” movie premiere! I’m glad Jake Miller had a fun time at the event! Previous Article: We All Have Heart-Eye Emojis For Olivia Stuck’s “The Outfield” Movie Premiere Attire! Check It Out Here! Next Article: Nash Grier, Cameron Dallas And Joey Bragg Look Phenomenal At The Premiere Of Their Movie “The Outfield”!